CHICAGO (WLS) -- Christopher Ramirez, of Elmwood Park, was charged in a hit-and-run crash in Chicago's Belmont Heights neighborhood. Two men, ages 30 and 31, were standing on the sidewalk at the corner of North Ozark and West Belmont avenues around 4:15 a.m. Monday. 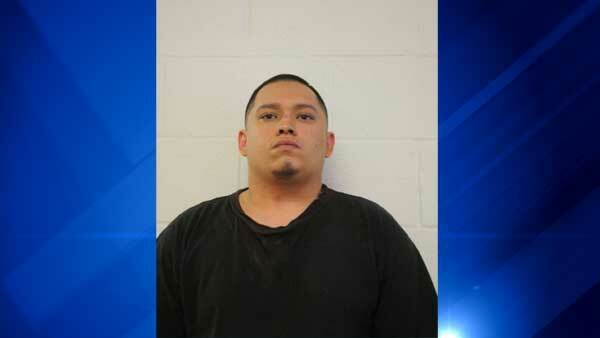 Police said Ramirez, 22, struck both men with his car before driving away. The 30-year-old man was taken to Lutheran General Hospital, where he is listed in serious condition. The 31-year-old man was transported to Loyola University Medical Center, where he is listed in critical condition. Elmwood Park police, informed of the hit-and-run by Chicago police, took Ramirez into custody shortly after the crash. A man and two women were in the vehicle with him, police said. Ramirez and the male passenger were taken to Our Lady of Resurrection Hospital in stable condition. The two women did not have to go to the hospital. Ramirez, of the 7300-block of West North Avenue in Elmwood Park, was charged with two counts of aggravated battery with a deadly weapon, street gang violence/parole and issuance of a warrant. He is due on bond court on Wednesday.